This is also for users and geeks who have sparkling ideas. The kit has more than 16 projects for the beginners. 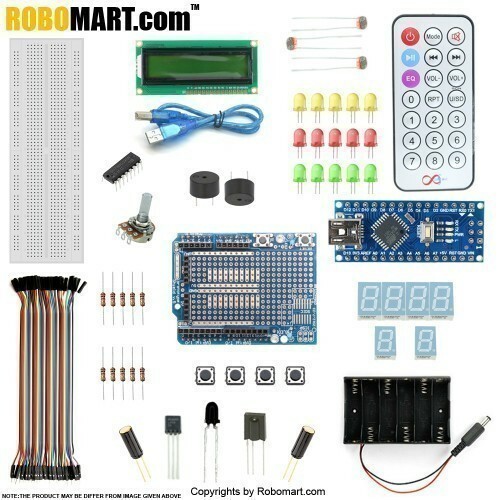 This is the new Robomart Nano Starter Kit, developed specially for those beginners who are interested in Arduino. You will have a complete set of Arduino's most common and useful electronic components. What's more. We will offer you a detailed tutorials including project introduction and their source codes.You may learn about Arduino through using these basic projects. This kit will help you control the physical world with sensors.